VW Passat information: everything you need to know if you own it, are thinking of buying one or just want to find out more about Volkswagen’s sensible saloon (and estate). 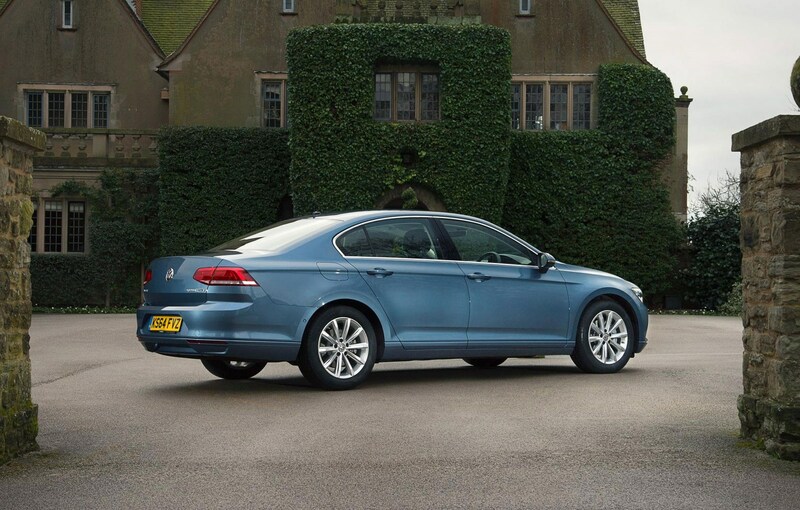 Click on the links below for all of CAR magazine’s news, reviews, videos, scoops and spy photos of the Passat car range. The latest Passat arrived in time for the start of 2015, crammed with up-to-the-minute tech. This is the eighth Passat so far - and a big step forward over the last Mk7 model, in style and ability. The Passat is a sales monster for VW, so this is an important car for the company. This time around it’s based on the company’s MQB platform (like the Golf) and manages to squeeze a longer wheelbase within a silhouette that’s shorter and lower than before. That means more rear legroom and, somehow, more headroom too. The boot’s enormous, and even more so on the estate version which is expected to outsell its saloon counterpart in the UK. Optional digital instrument panel gives a widescreen sat-nav map behind the wheel and switchable dials, Audi TT-style. Another option, the self-parking system, can even reverse a trailer for you. And if you’re taken ill at the wheel, certain versions can bring the car safely to a halt autonomously and call the emergency services. Seems they’ve thought of everything. A bit sober in character, with all that tech would you want to put one through an MOT in 10 years' time?